Convert GT3 three-bolt pattern hubs to six-bolt (Momo/Sparco type) pattern wheels with this black anodized aluminum adaptor. 6061 Black Anodized Aluminum Finish. 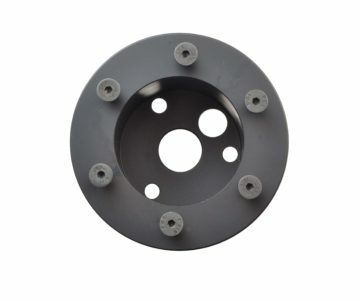 Use with (Momo/Sparco Style) Six-Hole Wheel to mount to a GT3 hub or 3-bolt aftermarket installation kit.